Livemesh SiteOrigin widgets is a collection of 25 exquisitely crafted WordPress widgets or page builder elements that can be used in any WordPress site running any theme of your choice. This product is the premium version of the FREE plugin available for download on wordpress.org plugin repository. If you activate a widget-aware page builder like the popular SiteOrigin Page Builder, all of the widgets will be available as page builder elements for easy drag/drop/configure. This plugin requires the free SiteOrigin Widgets Bundle plugin to be activated. A huge collection of Premium widgets for SiteOrigin Page Builder. Building a beautiful website is as easy as drag and drop. All the great features and widgets you need to get started on creating a beautiful website. More features and additional widgets to build a professional website without switching your WP theme. Exquisitely designed widgets that can be used in any widgetized area of website or in widgets enabled page builder like SiteOrigin. The plugin comes with dark versions for the bundled widgets. Choose from 500+ fonts from Google for Headings and Hero Header widgets. More coming soon. 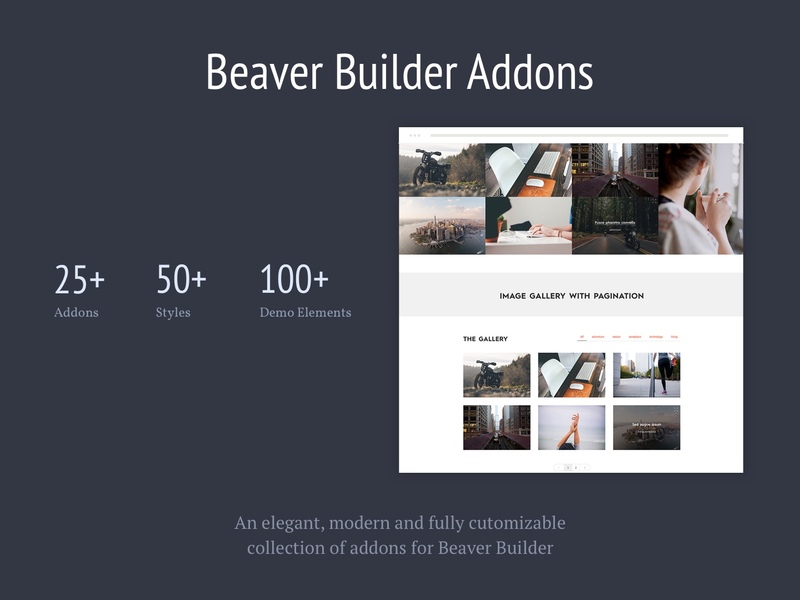 Choose from over 40+ custom animations for most widgets (excludes sliders, carousels and grid). Essential widgets include Services, Team, Testimonials, Clients, Hero Headers, Pricing, Statistics, Tabs, Accordions, Carousels and Grid. Both Lite and Premium versions include dark versions for the bundled widgets. Along with the essential web building tools bundled with free version, the PRO version comes with additional advanced widgets, functions and customizations detailed below. Team Profiles widgets to display all the team members. Odometer to show impressive numbers pertaining to your work or company. Bar charts widget to capture skills or any type of percentage stats. Animated Piecharts for visual depiction of percentage stats. Post Carousel Widget that displays your posts or custom post types as a highly responsive carousel. Generic Carousel Widget that displays lets you present a list of HTML content in a carousel. Portfolio/Post Grid widget that displays portfolio or blog entries in a nice responsive grid. Comes with lightbox gallery support, inline pagination and lazy load via AJAX with the press of a load more button. Client List widget to showcase the clients that you have handled. Image Slider – Pro! to create a responsive slider of images with support for captions, multiple slider types like Nivo, Flex, Slick and lightweight sliders, thumbnail navigation etc. Image Gallery – Pro! to create a gallery of images with options for masonry or fit rows, pagination, lazy load, lightbox support etc. Video Gallery – Pro! that lets you create a beautiful gallery of videos to help showcase a collection of YouTube/Vimeo videos on your site. Image Carousel – Pro! to build a responsive carousel of images. Video Carousel – Pro! to create a responsive carousel of YouTube/Vimeo videos. Generic Slider – Pro! widget that helps you create a responsive slider of custom HTML content. FAQ – Pro! widget that helps create a set of Frequently Asked Questions for display in a page. Features List – Pro! widget to showcase product features or services provided by your agency/business. Countdown – Pro! that displays a countdown timer given an end date and time. Almost all of the widgets come with a dark version. The widget style can be changed instantly for display in a dark or image background. The premium version of the plugin comes with sample-data.xml file that you can import under Tools->Import in WordPress admin to help replicate the demo site. This helps you get started quickly on building a fantastic website. The plugin represents a bundle with entire set of page elements that you would need to build a website for small businesses, corporates, design agencies, freelancers showcasing their portfolio. Every widget part of the plugin has been tested extensively with SiteOrigin Page builder. The sample data itself is built on top of SiteOrigin page builder. 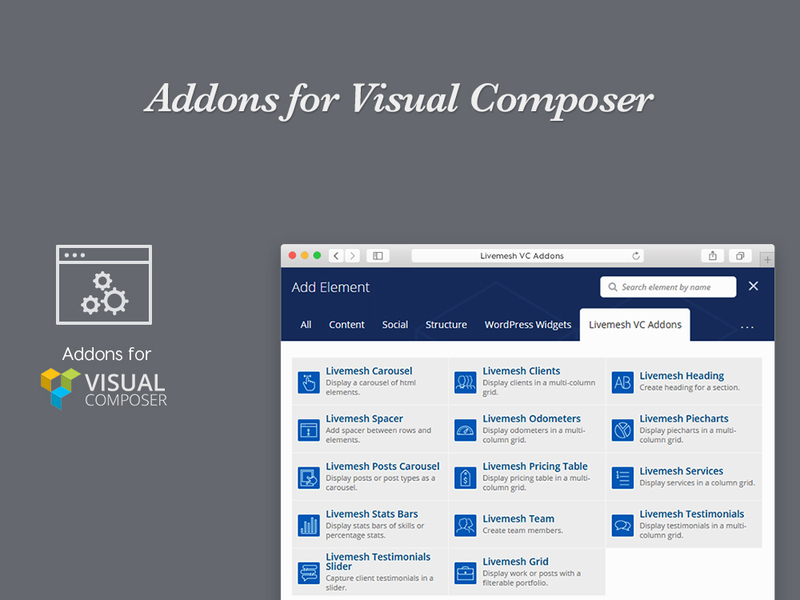 The backend for the widgets is easy to use with support for preview, navigation between widgets, inline insertion of child elements within a single edit window. We provide the best support possible for the plugin with frequent updates and fixes. Buyers of our themes built on SiteOrigin Page Builder get premium support for the plugin in our support forum. We follow best practices for implementation of the widgets. For most part, our job has been made easier by developing on top of a well-regarded plugin like SiteOrigin Widgets Bundle. Proven Expertize – Having served over 11,000+ customers of our themes over past 3 years, the support provided by us is proven in competence and commitment.